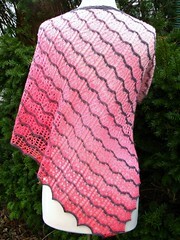 I had a great time making this cowl. It begins and ends with a turned hem. Even the “baubles” are adorable — and I’m often not a fan of bobble-knitting. 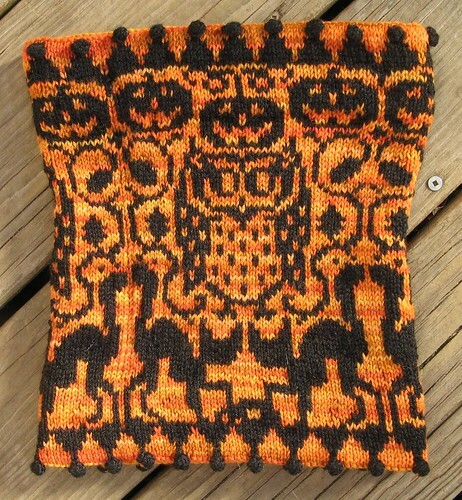 I think the colorwork is exceptionally clever — very evocative cats, owl, and pumpkins, with subtle vines to fill in the empty spaces. I especially like the skull at the foot of the cats — fantastic!